Proper nutrition is the key part of our pets' overall health, but choosing the right foods to feed dogs can quickly become confusing and complicated. You can read dog food labels, do online research and check dog food reviews, but there is no “one size fits all” dog food brand out there that will fit every pet, so you need to figure out the needs for your specific pooch. For today's solo podcast, I've emailed Eric Huston of Mars Petcare U.S. and asked him a ton of questions about how their team work with vets and nutrition experts to figure out how to feed dogs. He shared a lot of tips, advice and tricks on choosing the right type of nutrition and diet for your dog. We've also discussed pet food industry trends and how those affect the choices dog owners make when shopping for dog foods. Welcome back to the theory of pets. My name is Samantha. As you know, if you are a regular listener, I like to dive into the pet industry and find all of the tips and tricks that pet owners need to know to take the best care of their companion animals. Today I want to talk about pet food. This is single handedly the number one question that I am asked by pet owners, whether it's dogs or cats, they want to know how to find the best products to feed their pet. We hear about different recalls virtually every day. There is all this scary information going around about cancer causing agents found in pet food and different brands are making animals sick and there are toxins and chemicals and dyes and artificial ingredients, fillers, using commercial pet food products. So what can we do as pet owners to find the right nutrition for our animals without going completely broke trying to feed our companions? Today I talked to Eric Houston, he's the marketing director for Mars Petcare in the United States now Mars Petcare is one of the leading brands here in the US, in the pet industry, and they are responsible for brands like IAMS, Eukanuba, Pedigree, Nutro, Royal Canin — so they have a lot of different pet food brands under their belt. And I wanted to discuss today different tips that pet owners can take to find the proper nutrition for their pet. And I asked Eric about choosing the best nutrition for pets, and how it's a struggle for so many pet owners. So I wanted to know some of the guidelines that pet parents should be following when looking for a diet for their cat or dog. And Eric told me that there are several important factors to consider when determining what food is the best fit for your pet. His first step recommendation is it's always best to consult your veterinarian to see if your pet has any specific dietary needs you should be aware of. Some pets of may need to avoid specific proteins because of an allergy, for example. This would be my first step as well. I always tell people to talk to your veterinarian. If you're a veterinarian, isn't open to discussing different dietary options, whether it might be a homemade, a raw diet, a vegetarian diet, all these different options that are out there, if you have something in mind and your vet is not open to discussing it, look for a canine nutritionist in your area. There are canine nutritionists all over the country and you can find them online as well that might consult with you via email or over the phone. They are going to be a more skilled. They're trained specifically in canine or feline nutrition. I know I said Canine before, but if you have a cat you can find a feline nutritionist as well. They are specifically trained in nutrition for that animal. Whereas a general veterinarian, they take many different courses during their training to learn about many different aspects. And of course they have some training on nutrition, but it's not specific training for those types of animals. So if you're having doubts, having questions, seek out a nutritionist and see what you can find. Eric also told me that additionally he would consider the size of the pet and what life stage that pet is in to help inform your search. You can't buy a puppy food for a senior dog or vice versa. The different formulas that are made for small breeds aren't going to be beneficial for large breeds. So those are things that you need to think about. And he says from there you can determine your desired price point and think about if you want to pass your own feeding preferences onto your pet. So for example, some people who eat a non-GMO diet might want the same for their pet. Those are very important things to consider. After that, he suggests taking some time for trial and error to find the best food for your pet. The problem here is that your pet might prefer one protein over another. Maybe they like chicken or beef or wet food versus dry food. So even though your budget only can afford dry kibble, your pet might not want to eat dry kibble and it might not be the variety or the recipe. It might actually just be the dry kibble. Maybe he has dental problems. Maybe if you adopted a dog, he's only had wet food in the past. There are many reasons for it. So what you may need to do is a mix the wet food for a little while and get your dog used to the dry kibble or it may be a senior dog or if your pet has dental issues you may need to switch to wet food. So you have to think about your pet, his needs, his preferences as well. Eric says that in the end it all comes down to you and your preferences and ensuring you buy a food that you trust and that your pet enjoys. He says that at Mars Petcare, they offer a range of options with a variety of ingredients at varying price points. And I discussed that as well with all of their different brands. So for example, if you do your research and you look into Mars Petcare and you think this is a brand that I can stand behind; this is a brand that's trustworthy; you look at their recall history, all of this stuff, and you figure out — I want a Mars Petcare brand. They offer many different options, so maybe your dog doesn't like IAMS, but he prefers some of the Nutro recipes, or maybe like Eric mentioned, he prefers chicken or beef or a different source of protein that might be not quite as common like lamb or turkey. I also wanted to know from Eric, I said that there are many different types of diets available for pets — and I shared some of those with you just a few minutes ago — there's raw, there's vegetarian, there's Paleo. So I asked Eric what advice he could offer us as pet owners that are trying to find the most appropriate diet for their dogs needs. Now, as he mentioned earlier, I told you that he said, of course, some owners want to pass on their dietary preferences to their pet. So that's something to consider. He also says that with the humanization trend in the pet food industry right now, it's continuing to drive the habits of consumers. So, though there are biological differences between pet and human bodies, pet parents are getting inspired by human food trends and opting to feed their pets a diet that more closely mirrors their own. So whether that means selecting a high protein diet or a clean diet, pet owners are looking for something that's similar to what they themselves are eating. And many food brands are following suit with products offering those accommodations to meet the demand from pet owners. And he also said like the Nutro brand from Mars, they have a feed clean philosophy which offers wholesome, dry dog food recipes that are simple, purposeful and trustworthy. They're made with real recognizable non-GMO ingredients and no artificial flavors, colors, or preservatives. Now that is something more common that we're seeing. Non-GMO ingredients, no artificial flavors, colors or preservatives — those are, as he mentioned, trends now in the pet food industry that we're starting to see because of the demand from pet owners. So something else that Eric says that Mars Petcare has been tracking for a while, is the popularity of the Paleo human diet, which translates into basically an ancestral diet for our pets. Mars Petcare offers two options for consumers who are interested in feeding their pets in line with that trend. They have CRAVE which is a grain-free, high protein affordable option. And they also have WILD FRONTIER, which is a super premium option with protein-rich recipes that are grain-free. They don't contain soy or artificial flavors or preservatives. Both CRAVE dry dog food and WILD FRONTIER dry dog food have received five out of five stars from dog food expert Mike Sagman, of Dog Food Adviser. So these are things that you can be looking at when you're looking to find the most appropriate diet for your dog. Of course your preferences are going to come in at some point and your budget, of course, but you also want to look at different brands, what they offer. You can look at different lines from those brands. As Eric mentioned, with CRAVE and WILD FRONTIER, they both have different offerings. But at the same time they've also both been highly reviewed and highly recommended. You want to look at that stuff when your choosing the diet for your pet. Check out things like Dog Food Adviser or get on and do your research. See what other pet owners think. People that have actually fed these foods to their cat or dog. Did it help with skin issues? Did it make them gain weight, lose weight? Ask questions on different review sites. Figure out if this is going to be a good fit for your dog, especially if your dog has particular needs — for example, sensitive skin. You want to ask other pet owners, find out from other pet owners that had dogs with sensitive skin. Did this work? Did it not work? What did you find out? And of course, look at those ingredients and make sure that what you're providing your pet is going to be nutritionally beneficial for them. Eric also said that once you find the best fit for your dog, one thing that we often forget is that dogs like variety in their food. A great way to introduce this is by using a wet food as a topper. So for example, Mars's Nutro Ultra line has a line of grain-free wet dog foods that offer culinary-inspired pairings of high quality protein. And then there's some pieces of real vegetables mixed in there which serve as a great addition to kibble so you can provide variety in their everyday diet. And that's something that I think that we often overlook because we're so used to just buying dog food, and you buy a 30 pound bag and your dog has to eat that same recipe morning and night every day for a month before the dog food runs out and you can buy something different. So I think that's a good tip as well. You want to keep your pet interested. You wouldn't like to eat the same meal even if it was your most favorite meal every day, morning and night. Now I mentioned checking for recalls. That's very easy to do online. And I wanted to talk to Eric about that. 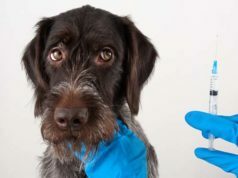 I mentioned to him of course, the same as I've said to you just a few minutes ago, that in recent years there have been many recalls on pet food and treats leading pet owners to scrutinize the products they're buying. So I wanted to know what are some of the things that pet owners should be aware of when shopping for and reading the labels of commercial pet food products. What he told me was that picking the best food for your pet is an important decision. And as with any big choice, it should be made after you've done your research, talk to your veterinarian, check out reviews online, talk to other pet owners for their feedback. All of these things that I've mentioned to you as well are so important when choosing the right food for your pet. He also says additionally, as with any big purchase that Mars Petcare recommends buying from a manufacturer or you trust that's reputable and ensures all of their products go through rigorous quality and safety checks. You might be wondering how to figure that out. So let's say you go into the pet store, you're looking at brands and you stumble upon Nutro. You think this looks like a great food for my dog. Now you're going to read on the label that Nutro is a Mars Petcare product. Any food that you buy will tell the manufacturer. Some brands are, the brand is the manufacturer. They only have that one brand. Some brands like Nutro and IAMS have a bigger, they're under the umbrella of a bigger manufacturer. So that information's all available on the label. So let's say you pick up Nutro Ultra. You find out that it's made from Mars Petcare. Jump on their website. If you're looking at a Mars brand, there is a link to their website just below this podcast so that you can check that out easily. Any brand that you buy, figure out that umbrella manufacturer. Or like I said, if it's a smaller brand and it's just that one brand, jump on their website, check it out, figure out what types of testing they do, what kind of quality checks do they do, what are their safety standards. Look into their recall history. Do they have a high number of recalls? Was it one recall from seven years ago and they've never had another one? Check into those things to make sure that the brand that you're buying from is a trustworthy reputable brand. When choosing a food for their pets, there are ingredients that pet owners should be looking for as well. And I asked Eric about that and if there were any ingredients that we should be specifically looking for or specifically trying to avoid. And he told me that when picking the best food for your pet, you want to make sure that it's approved by the Association of American Feed Control Officials. That's the AAFCO. And there's a link to their website below this podcast as well, if you're listening online. And the AAFCO, there is always information on the label if it has been approved by this organization. You'll see like a little stamp rate on the label. And of course you can get more information on the company's website or the Association of American Feed Control Officials website. This ensures that they have been approved by the AAFCO. It ensures that this food meets regulations to be complete, balanced and healthy for your pet to consume. For pet owners looking to prioritize high quality proteins, Eric says that you need to look for options that have protein from animal sources as the first ingredient, such as beef, chicken, lamb, or salmon. You don't want to see a meal — a beef meal, a chicken meal as the first ingredient. You certainly don't want to see a filler as a first ingredient. So that's something that you definitely need to be avoiding when you're looking at the ingredients list on the side of the packaging. And finally, I wanted to talk to Eric, Mars Petcare has recently launched two updated product lines, WILD FRONTIER and Nutro Ultra. I was able to actually review these products for our sister site topdogtips.com. You can jump on there to see my reviews of those products. But as with any new product that's coming out, I wanted to know what sets those products apart from other pet foods on the market. I'm seeing a lot of advertising for those two brands right now. Of course they're new. So the company wants to get the name out. So if you've been seeing the same things and you're kind of wondering what setting WILD FRONTIER and Nutro Ultra apart, I asked Eric about that. And what he said was that originally a part of the Nutro brand of dog food, WILD FRONTIER pet food is now its own brand offering the next level of protein-rich ancestral nutrition. Basically, our pets have wolf and wildcat ancestors that a captured and fed on whatever nature provided them. They ate smaller animals, they eat some roughage, that kind of stuff. They didn't eat dry kibble, obviously. There is no one to feed them, open up a can of food and feed them commercial pet food. So on that notion, that's the inspiration behind the WILD FRONTIER line. So he said, for example, each WILD FRONTIER recipe includes nutrient rich organs, which our pet ancestors sought first after the hunt to help them flourish. Organ meat is very, very rich in nutrients, as well as high quality proteins as the first ingredient. This brand uses no grains or soy, no artificial flavors or preservatives. Of course, none of that stuff was in our dog's ancestors diets. So we're getting rid of that. Mars Petcare is getting rid of that in their WILD FRONTIER brand. So there are tons of recipes here offered by both of these lines that are healthy and nutritious as well as appealing to your dog's palette. So if you want more information on those, like I said, the Mars website is just below this podcast if you're listening online. Of course, if you want some more information about how to choose the right foods and nutrition in general, there's some great information on their site there as well. So that link is up there.